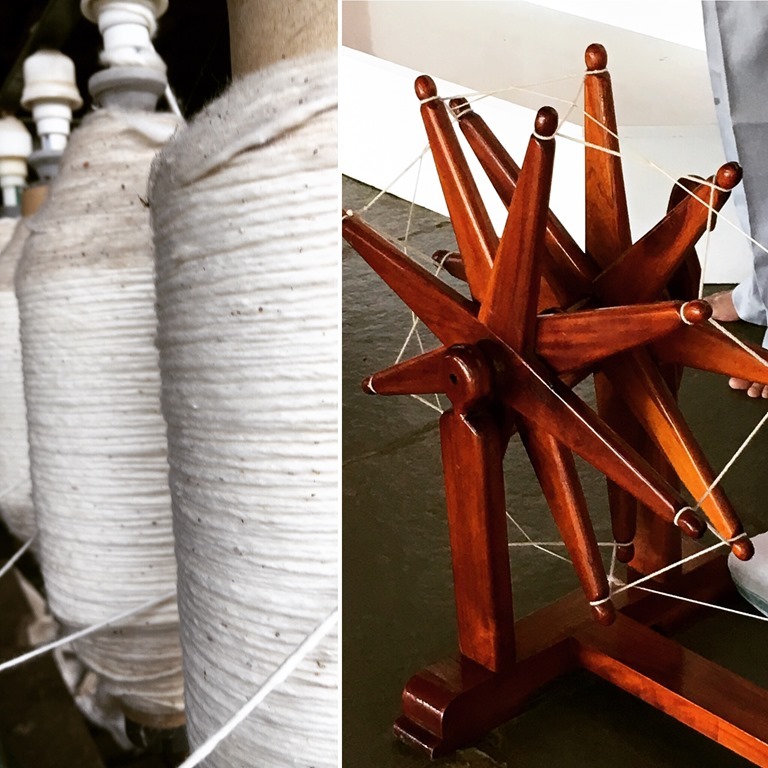 Khadi is an exclusive Indian textile, purely hand-spun and hand-woven from natural cotton using the traditional and manually operated spinning wheel called the ‘CHARKHA’. This process gives Khadi an extra ordinary texture and finish that cannot be found in any artificially made fibers. The small weaving errors give it the particular Khadi charm. In India, Khadi is not just a cloth, it is a whole movement started by Mohandas Karamchand Gandhi. The very reason that we have a range of products in Khadi that is growing with every passing day. This entry was posted in Whats New and tagged Anand Prakash, Charkha, Gandhi Ashram, Sabarmati Ashram. Bookmark the permalink.